The name Mildred Council may not ring a bell, but the restaurateur is the reigning queen of soul food in North Carolina. Council, who is best recognized by her alias, “Mama Dip,” is a UNC Press cookbook author and owner of Mama Dip’s Kitchen in Chapel Hill. As we mentioned last year, June is National Soul Food Month. What is soul food? That’s what we set out to explore. Mama Dip has two recipe books: Mama Dip’s Kitchen and Mama Dip’s Family Cookbook, both of which are filled with recipes and personal anecdotes about her life and experiences with food. The greatest challenge in our mission was picking out the recipes! There were so many options for main dishes, and let’s not even get started on dessert. If “one of everything” had been feasible, it certainly would have been attempted! Flipping through the books, nearly every recipe has a story behind it or a recommendation on serving the dish. We finally decided: Country Baked Chicken, Creamy Corn Pudding, Green Bean Casserole, Buttermilk Biscuits, and Pecan Pie. All classic southern favorites. The journey to culinary bliss began! The recipes were simple, both in ingredients and instructions. 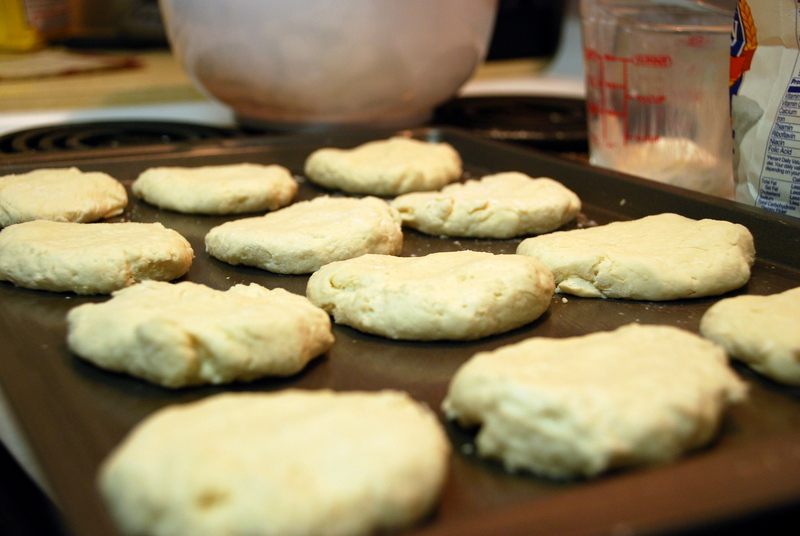 Who knew combining three basic ingredients typically found in the kitchen would lead to soft biscuits to complement the meal? The baking commenced with dessert. 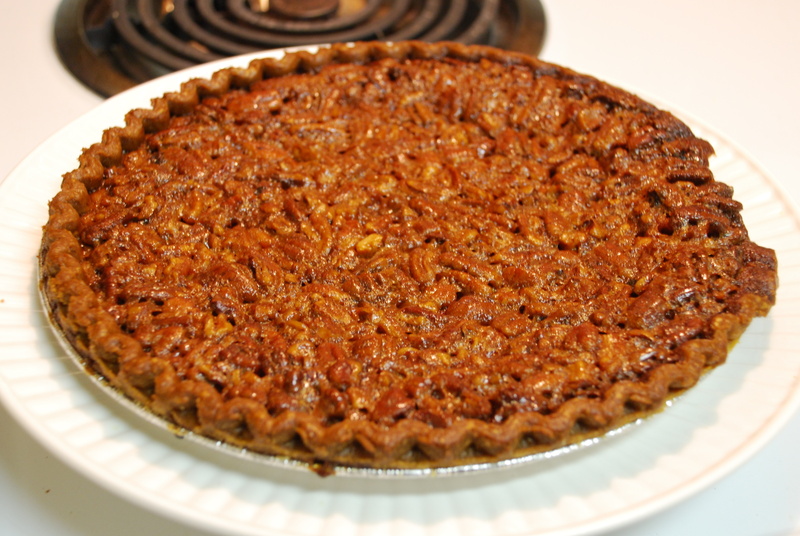 The pecan pie was overflowing, slowly dripping through the cracks of the pie crust before baking. After an hour in the oven, the pie was ready but we realized picking out the recipes wasn’t the most difficult task: resisting a bite of dessert until after dinner was absolute torture! The biscuits were delightfully messy. Combining the ingredients and getting messy hands really triggered the inner-chef mentality. 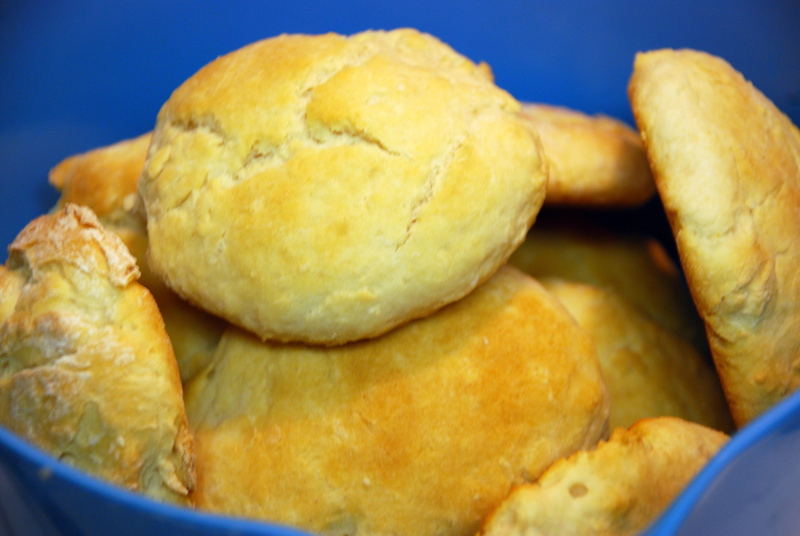 Baked until golden brown, the biscuits proved impossible to resist while warm. 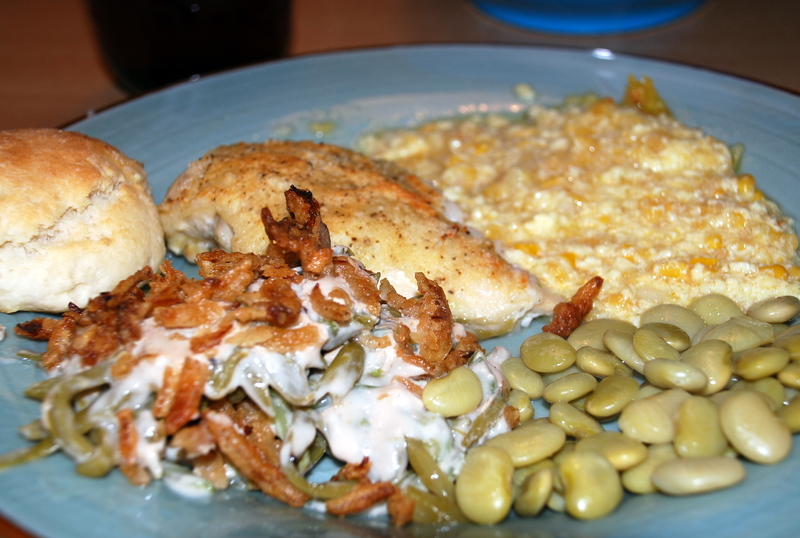 The green bean casserole and the creamy corn pudding were easy side dishes that added flavor and color to the meal. This part of the cooking process is where we messed up, but that mistake led us to finding the true essence of soul food: you’re allowed to make mistakes! After cooking the corn pudding, the consistency didn’t seem quite right. Referring back to the recipe, we realized we forgot the one essential ingredient to bind the others together: flour! Stirring it in after the dish had cooked for nearly an hour, we crossed our fingers and hoped for the best. But none of that mattered: we had a great dish on our hands, with all the flavors that counted. So what if it was more like creamed corn than corn pudding? There was no doubt it would be delicious with the juices running across the plate and being soaked up by the biscuits. Then came the main dish, the country baked chicken. While many people might think of southern soul food as “fried everything,” Mama Dip’s cookbook includes many recipes for those with a fear of frying. 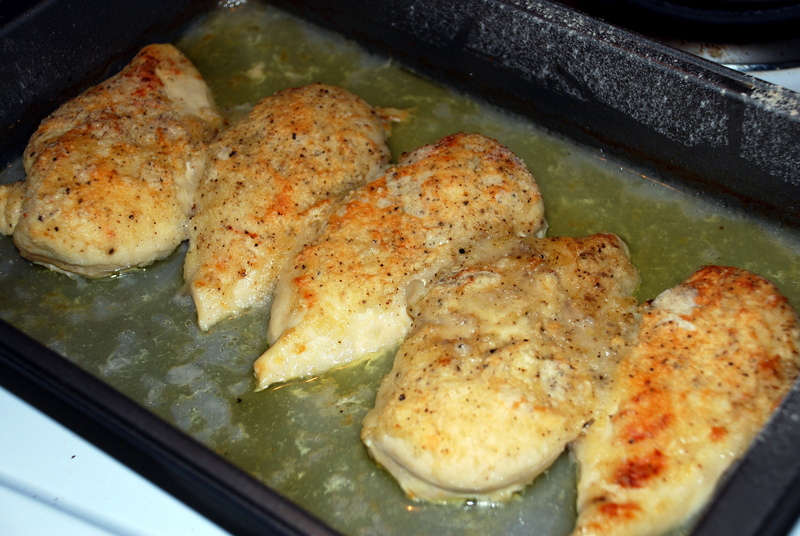 The chicken turned out juicy on the inside with a crispy crust on the outside. While indulging that meal, we talked and laughed around the table, catching up on each other’s lives and dreaming ideas for the next meal. Dinner was how it was supposed to be: not a microwave dinner in front of the computer or a power bar in the car on the way to work. It was a meal with friends, both sharing and listening. The entire experience embodied soul food from start to finish. Don’t worry about ingredients and measurements. If it looks a little sticky, add some more flour. 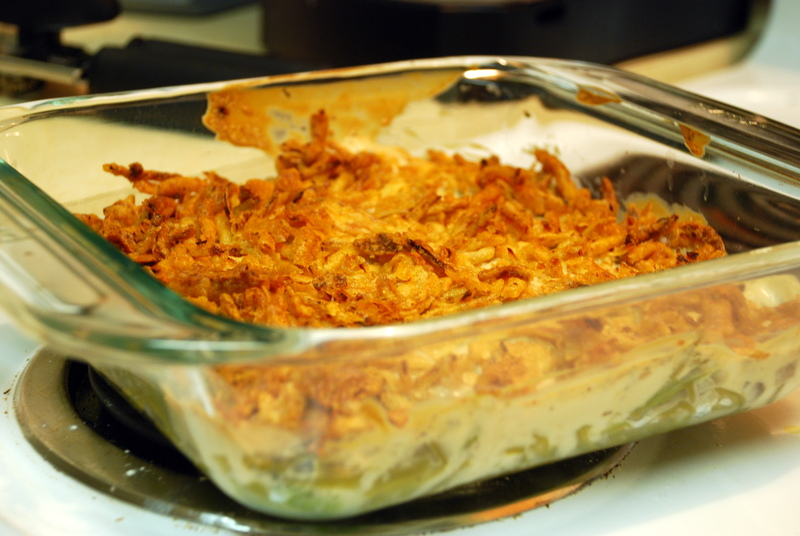 If it’s not quite the golden brown you want, leave it in the oven a bit longer or crank up the broiler. Soul food is about feeling your way through the food, cooking with your heart, and sharing that time with people you love. And if you don’t feel like cooking, there’s always an opportunity to visit Mama Dip’s Kitchen for any meal of the day. And remember: if all else fails, just add more butter! Both of Mama Dip’s cookbooks – full of easy and delicious recipes – are available through UNC Press. Great article, Alyssa! Your mom posted the link on Facebook! Alyssa, you’re making me hungry!! Great article. Thanks to your mom for linking it to her facebook.